A large terracotta warrior bust in downtown Xi’an, Shaanxi Province that wowed crowds by displaying the faces of visitors was recently removed following outcry over its appearance. A large terracotta warrior bust in downtown Xi’an, Shaanxi Province that wowed crowds by displaying the faces of visitors was recently removed following outcry over its appearance. 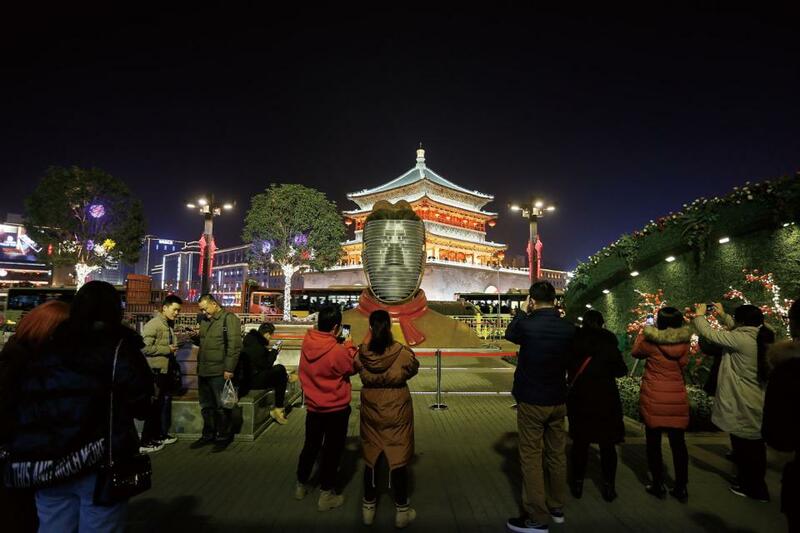 The statue near the Bell Tower of the ancient city, home to the 2,000-year-old terracotta warriors, could display the image of a scanned face thanks to contoured segments and a 3D projection device housed behind the statue’s head. While the installation was a hit with tourists, others found it an eyesore and worried that it would negatively influence the city’s image. It was removed after three days. Supporters of the statue criticized their opponents for being overly conservative, arguing that the face-changing warrior is a creative way of spreading Xi’an’s history and culture.